Cape Town is one of the most popular tourist destinations in the territory of South Africa. 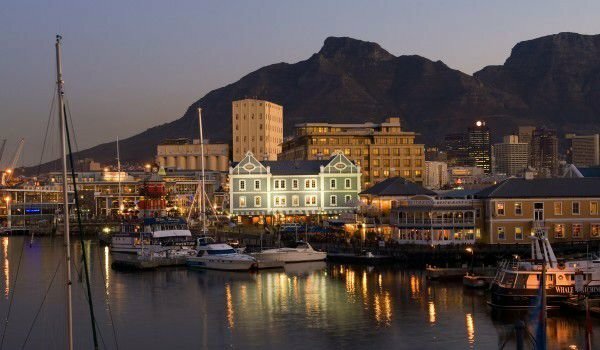 Not one town in the whole of Africa can compare with the unique harmony of Cape Town, which consists in the inseparable link of beauty and historical landmarks. The city is the third largest city in South Africa. It is beautifully situated in the southern part of the country near the Cape of Good Hope. Cape Town was the administrative center of the Western Cape province and around it rises majestically the picturesque Table Mountain. The population of this important South African city is about 3.5 million inhabitants. 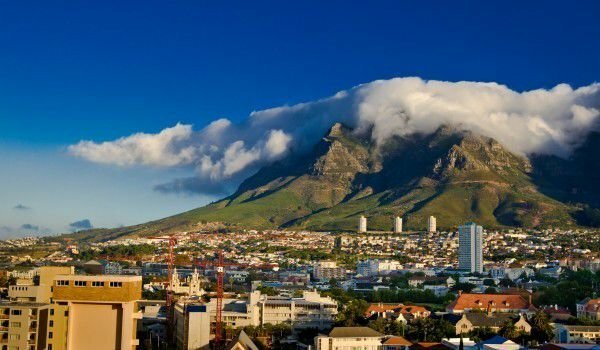 Cape Town is the first city that was founded by Europeans in South Africa, so is often referred to as the mother-city and the year of its establishment is 1652. The city and surrounding areas have many amazing places and remarkable historical monuments, which must necessarily be seen. Table Mountain stretches about 60 km of Signal Hill to Cape Point, including the beautiful valleys, bays and beaches and of course the legendary Cape of Good Hope. Within the mountain especially built for tourists is the funicular lift, which leads to the highest point of Table. It is called Cape Point and from such a height offers a view to the city itself and the ocean is just breathtaking. Cape Town is an ideal place for summer holidays. It is now full of modern bars, restaurants and cafes, well-developed new neighborhoods near the coast and hotels. During the summer season there, it is literally crowded by tourists from all over the world who have chosen their solar beaches, warm climate and beautiful green scenery of Cape Town. One of the favorite recreational areas in Cape Town is the coastal boulevard, Victoria and Allfred. There the atmosphere is unique because of the many nice cafes and the marina. Everywhere can be heard jazz and the African drums, which also give an additional charm of this area of Cape Town. Be sure to visit the Botanical Gardens in Cape Town which riches an area of 63 hectares. Castle of Cape of Good Hope is the oldest surviving building in South Africa and one of the main attractions in Cape Town. In 1936 the castle was declared a national monument. The castle was built between 1666 and 1679 by the Dutch. What can be seen within the historic fort is one of William Fehr Collection. The castle of the local governor now has an interesting collection of antique furniture and paintings from the Dutch period. For the convenience of visitors to the citadel of the Cape of Good Hope a restaurant and bar has been built. Spectacular and impressive the castle stands around the Table mountain, which reaches 930 meters above sea level and is one of the emblems of Cape Town. One of the attractive places in Cape Town is the neighborhood, Bo-Kaap Museum and Bo-Kaap, which was established in 1978 as a cultural historical museum. Located in the suburb of Malay, the former Muslim home displays typical Malay customs and traditions. Bo-Kaap Museum is located in one of the oldest urban residential areas in Cape Town. The story of Bo-Kaap reflects the political processes in South Africa during the years of apartheid. The region was named one of the places with exclusive residential areas.